Bonuses for coming in at a certain weight appear to be a thing in the NFL, as the Falcons have done it with Dontari Poe. With NFL salaries higher than they’ve ever been, and sure to keep increasing, motivation to stay in shape shouldn’t be an issue for most pro athletes. The Seahawks have put bonuses attached to weight in the contract of running back Eddie Lacy, and he’s set to weigh-in again on Monday. But we may be seeing a new trend involving weight clauses. 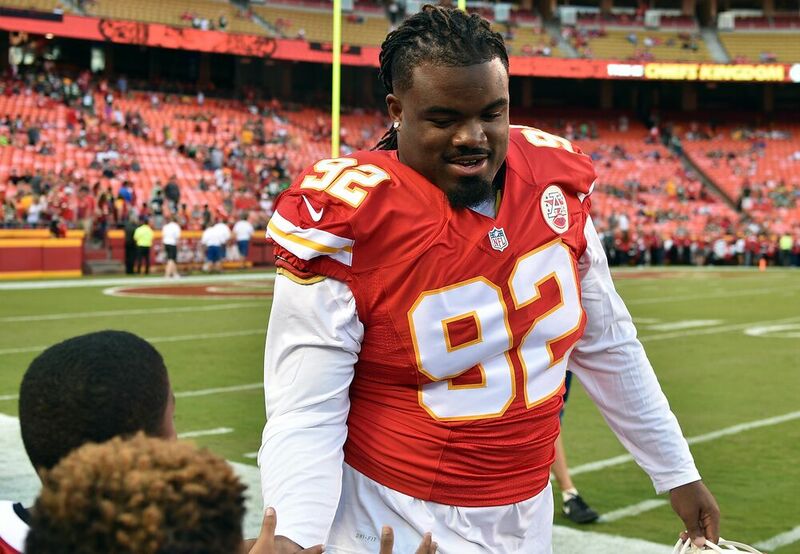 After spending his first five seasons with the Chiefs, defensive tackle Dontari Poe wound up signing a one year, $8 million deal with the Atlanta Falcons in mid-March. The Falcons surely see the two-time Pro Bowler as someone who can help their run defense, but with some conditions attached to his weight. ESPN’s Vaughn McClure reported after the signing that Poe weighed 340 pounds, but he planned to play at 330 pounds. Earlier this month Poe expressed confidence he’d be able to drop weight, despite being listed at 346 last season with the Chiefs. If he can shed the weight by Tuesday, he’ll earn $125,000. Poe needs to come in at the prescribed 330 pounds (or less) at the start of training camp late next month. The same benchmark will come again on Sept. 4 and Nov. 6. Poe has been bothered by back issues over the last couple years, but has only missed two games in his career. Since totaling 10.5 sacks and 97 tackles in 2013 and 2014, Poe only has 2.5 sacks over the last two seasons along with a decline in his tackle total. Head coach Dan Quinn seems to think Poe has untapped potential as a pass rusher in the Falcons’ 4-3 scheme, where he can be used at nose tackle as well as at the three-technique spot. Being lighter will surely help make that happen, and Poe has plenty of reasons to be in shape.